Q: How do I receive information about your program? A: Contact our admissions director by dialing 866.678.2425. You may also download our application from our website www.sundanceacademyacademy.com and send it to us via email or fax. We recommend that parents visit to our facility to tour and meet our staff. We realize this may not be possible due to the urgency to place or travel considerations. The last step would be to make financial arrangements and schedule the admission date for your son. A: The Academy accepts 16 students and is located in Herriman, Utah. We will provide directions to our facility upon request. Q: What is the average age of the students in your program? A: Our average age approximately 16 years old. Our range of ages is from 13 to 17 years. Q: What is the average length of stay in your program? A: Our average length of stay is approximately 6-9 months. We try to focus more on positive outcomes and less on time frames, while still remaining sensitive to the financial and emotional needs of the family. Q: What are the living accommodations like? A: Sundance maintains a family-style environment. Your son will have 1 or 3 roommates. We provide all the amenities of a regular home. We offer access to a recreation center with all the sports amenities and a pool. Students may also choose to take part in service projects, participate in group sports, outdoor recreation, music, or art projects. Q: Are you a locked facility? A: We are not a typical “lock-down” facility, even though the students may not leave. We prefer to call ourselves a “staff secure” facility. We have a minimum of 1 staff member to every 4 students, and are therefore able to spend valuable one-on-one time with those in need. A: The typical daily schedule consists of planning and goal setting, individual time, meals, chores, school, group therapy, recreation and activities in the community. The activities are diverse and varied. We focus on numerous positive experiences every day for our student’s wellbeing. 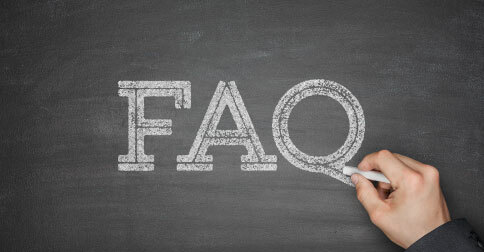 Q: Is your school accredited, can credits be transferred to another school? A: Our academic curriculum is accredited through the Northwest Association of Schools and Colleges. Any work your son completes at Sundance can be transferred to any other school, public or private. Our Education Director works closely with the school of your choice to make sure academic transition is accurate and complete. Q: What is the school curriculum? A: Our curriculum is comparable to any normal junior high or high school curriculum. We individualize academic needs for each of our students. All work and testing is organized for school district approval. We also offer college classes to any of our students who have completed high school. Q: What is the policy regarding confidentiality? A: All information about your son is completely confidential. Q: What are some of the common problems students have who are admitted into Sundance? A: Two of the most common problems we treat at Sundance are school failure and opposition-defiance. Our typical student has low self-esteem and is struggling with authority. Other common problems we address include drug experimentation, mood disorders, and family discord. Q: How much therapy does Sundance offer? A: We provide 8-10 hours of therapy per student per week (individual, family, group, and recreational therapy). We individualize the treatment your son receives at every possible level, such as placing him in psychotherapy groups that are specific to his particular issues. Current examples are self- image, emotions, social skills, adoption, and trauma. Q: How much contact may I have with my son? A: During the two weeks, there are no phone privileges outside of family therapy. Your son will be able to communicate more with family as he advances through the program. A minimum of one-phone call or letter per week to parents is allowed for each student. We require at least 1-campus visit and 1- family weekend experience before graduation. Q: How do you handle my son if he refuses to comply with the program? A: We believe in using natural and logical consequences. We do not use isolation rooms, restraint systems, or medication to subdue students. Our therapeutic and considerate approach is facilitated by our high staffing ratios. We believe that lasting motivation for change within your son is fostered by healthy relationships with peers, staff, and family. Q: What are the qualifications of the clinical staff? A: We have clinicians with a wide variety of expertise and experience. All of them are Masters or PhD level. Our expertise includes Marriage & Family Therapy, Psychology, Social Work and Recreation Therapy. We believe that we have put together a team of professionals who not only hold needed credentials, but also are passionate about working with youth. Q: Can I talk to parents who have placed their sons at Sundance? A: Yes. We encourage you to speak with those who have placed their son in our program. Many parents are excited to share their experience with you. Contact Boyd in admissions for a list of parents in your area or who have had similar experiences with their sons. Q: What are your costs, and is there special funding available? A: Private education loans are available. This may help defray your costs. For specific questions about costs, call Boyd Hooper at 801-380.3525 or boyd@sundancecanyonacademy.com via email.